2 or more: $14.69 ea. 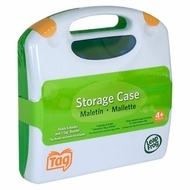 Use this convenient storage case to take the Tag Reading System with you wherever you go. Premium plastic casing ensures your Reader and books are protected while you are on the move! Recommended age range is 4-8 years old.